Mill Creek Construction was asked by their customer to do various renovations to their home, and in addition, expand the existing kitchen space. 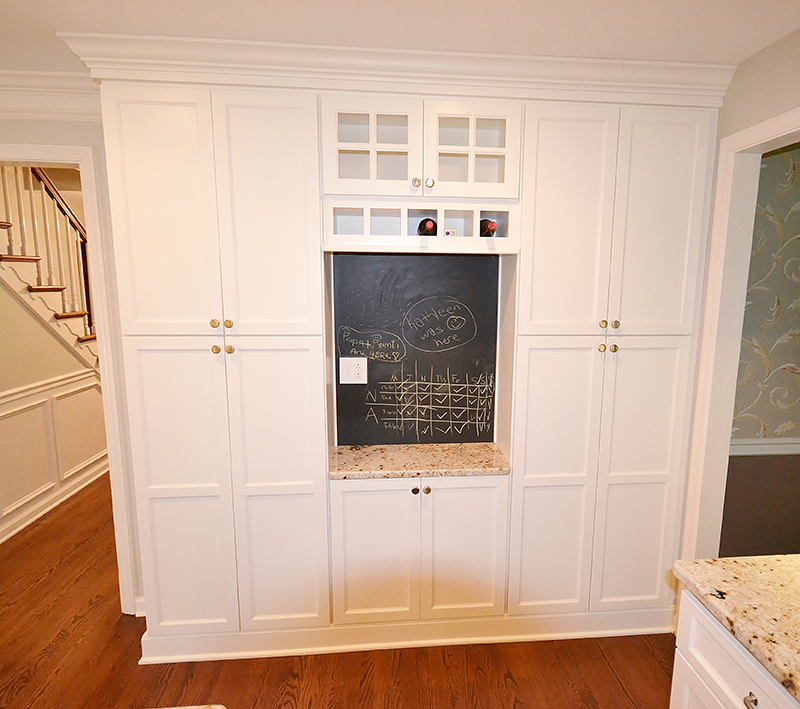 The plan began by removing some existing walls, and relocating the kitchen window. 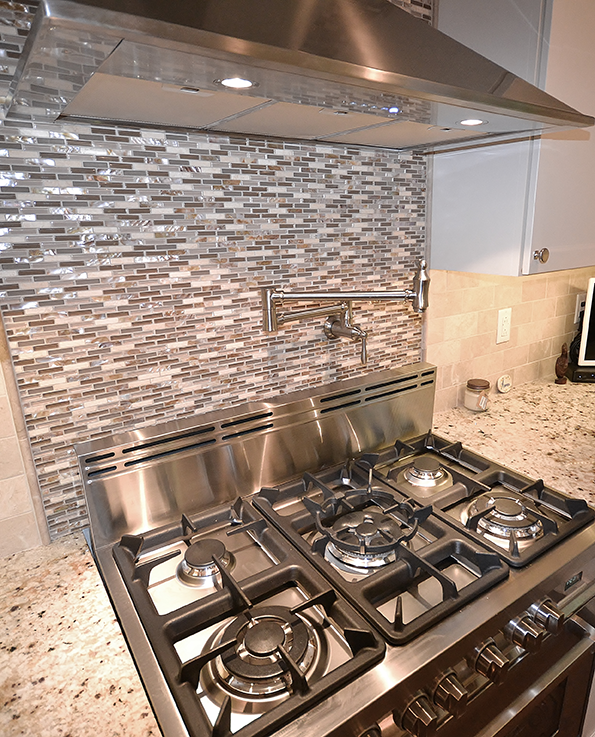 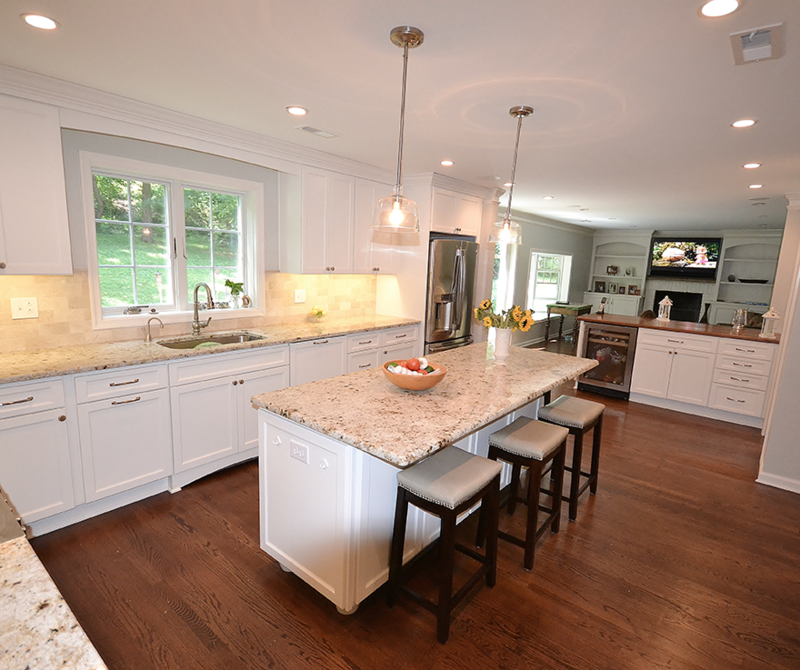 Mill Creek asked Chester County Kitchen and Bath to help design the new kitchen space. 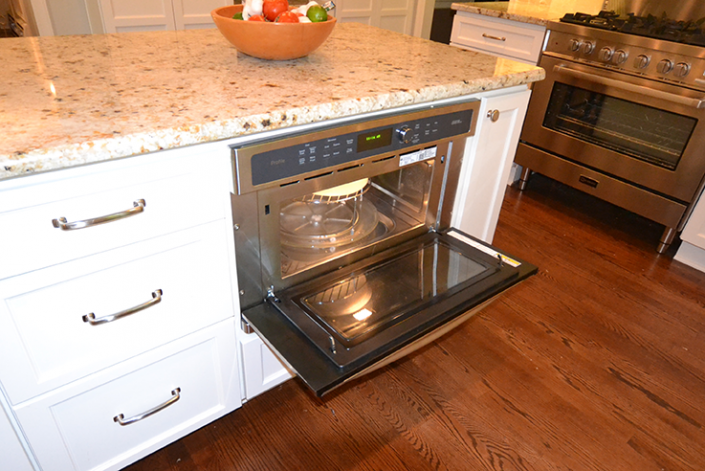 With the customer choosing the appliances they desired in the new kitchen, CCKAB went to work to design an interesting and comfortable new space. This lovely, bright and roomy kitchen remodel speaks for itself. 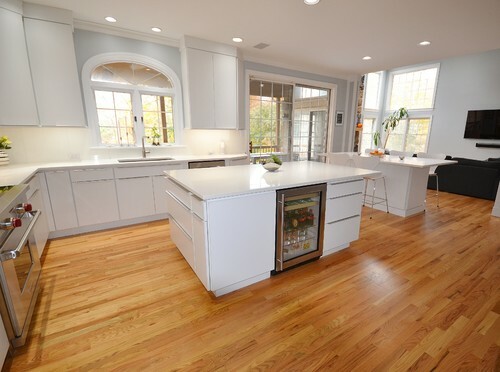 This white kitchen remodel really looks spectacular with the rich plank flooring and Cherry Half wall countertop, ( which was custom fabricated by CCKAB). The kitchen cabinetry is Fieldstone Cabinetry in Maple, in the Stratford door style. 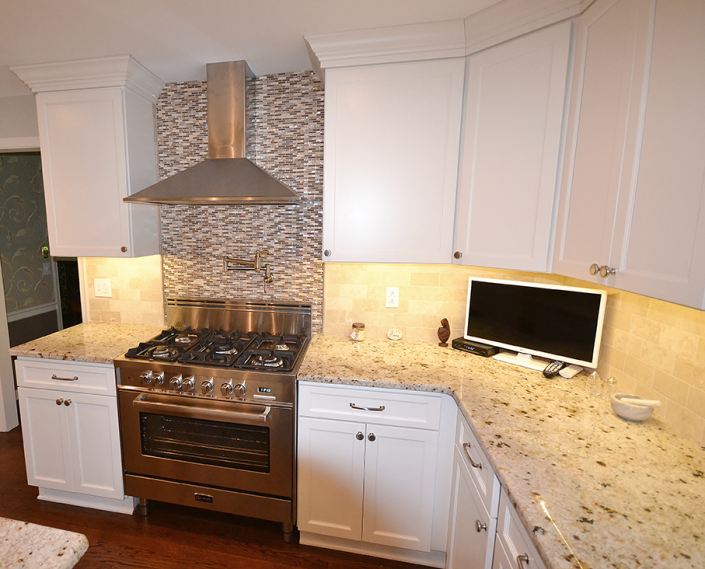 The painted finish color is called “Dove”. 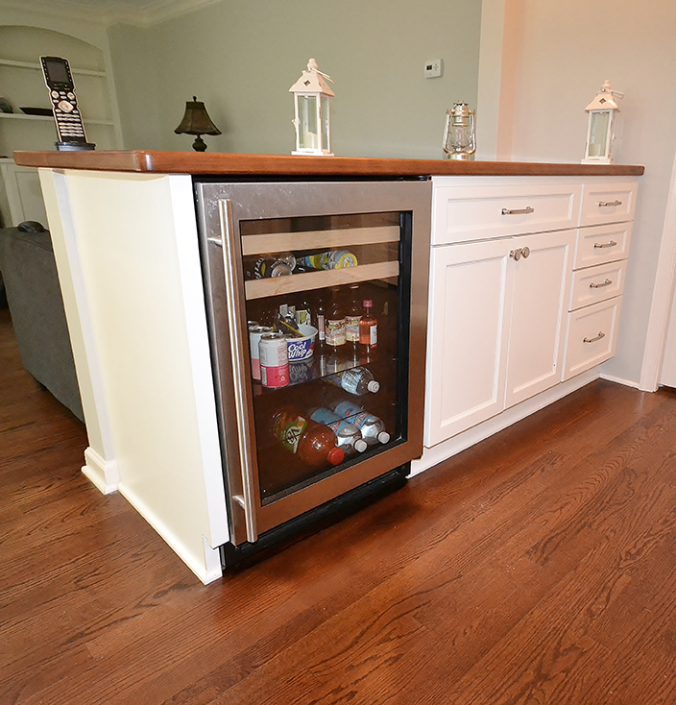 The cabinetry hardware is Jeffery Alexander, Belcastle series. 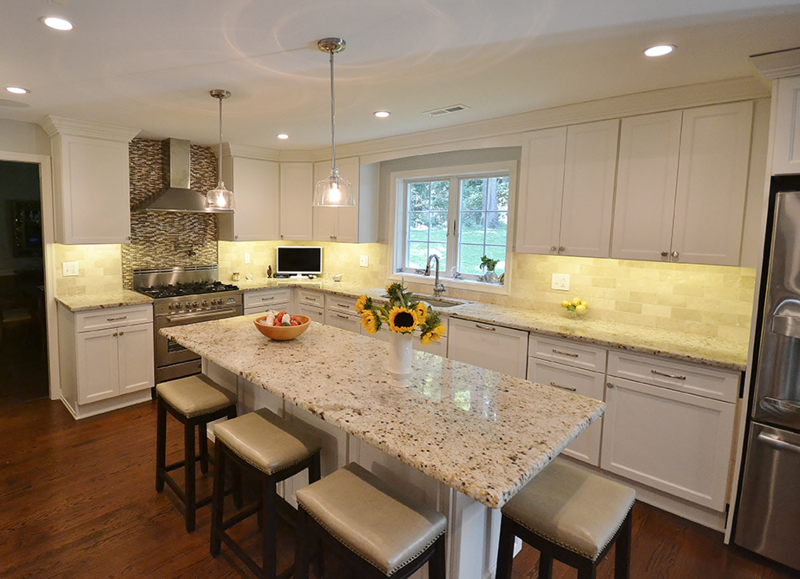 Colonia Gold granite was selected for the kitchen, with an upgraded edge profile, a demi bullnose.